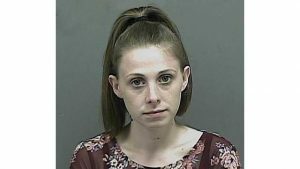 Police have arrested a second suspect in a Kingsport murder and charged her with several felonies including tampering with evidence and accessory to murder after the fact. 27-year-old Chandryia White and Corey Lee Moore are now both charged in the homicide investigation. They were reportedly a couple at the time of Timothy Gilliam’s murder. Moore was initially charged in Gilliam’s death. A further investigation revealed White gave officers false information on the case and knew Moore was planning to rob the victim. White is being held in the Sullivan County Jail on a $15,000 bond.